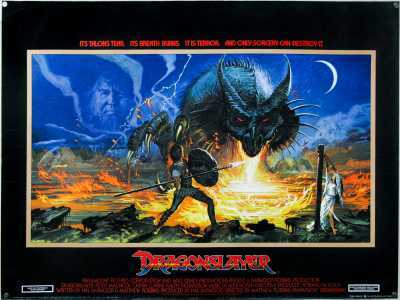 Dragonslayer is a 1981 American fantasy film directed by Matthew Robbins, from a screenplay he co-wrote with Hal Barwood. It stars Peter MacNicol, Ralph Richardson, John Hallam and Caitlin Clarke. Paramount Pictures handled North American distribution, while Buena Vista International handled international distribution. The story, set in a fictional medieval kingdom, follows a young wizard who experiences danger and opposition as he attempts to defeat a dragon.